Read this first: What is A215? Everybody can write, yes. But being a writer – or a published author – means more. It means constant learning and growing, so readers will enjoy the overall experience with your stories. 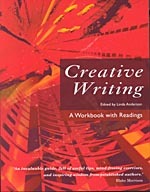 Every writer has its own way of learning and exploring the craft of writing and it is a good way of doing it by observation of writers and writings you love. In fact, you will never learn anything about writing without doing a lot of reading and observing. Then why do I choose to study the craft of writing instead of just doing my share of analytical observation on my own and in my pace? First: It is guided observation and so much more effective than everything you can do by yourself. Second: You can’t be your own critic. You will either be too harsh or to soft on yourself and you do not have the clear view of an outsider. You will brood over the wrong things and miss important flaws. Third: It is hard to squeeze the time for growing as a writer into your daily routine. Especially when your day job is the other kind of writing. Then there will always be a deadline more important as your writing exercise. Doing those exercises in an academic corset made you doing them even if you are exhausted from work or if you are graving for some relaxing hours in front of the TV. Forth: It builds me a small portfolio of writings fit for publication. At least, I hope it will.